Plenty of picture available upon request. Coin not recognized by PCGS for some reason. Hey everyone. 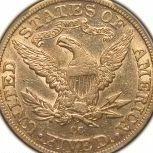 I'm new to the coin collecting world and really want to learn as much as possible. I only have a few coins right now but I look forward to learning and growing. I would like to be able to expand my collection and maybe try to sell some if I have any coins worth anything. I look forward to meeting new people that can help me learn and get started with all this. 1982 small date copper penny. Does anyone know more about 1982 copper pennies? I'm trying to complete my Crimean War sub-collection, and the only coin I lack (once my British florin arrives) is from that pesky little Italian state of Sardinia. I've looked all over, and the only coins I've been able to find from any of those three years are gold -- they're absolutely stunning pieces, but: a) I'm not all that interested in gold coins; and b) $240+ is waaay too much for me. The coin I do wind up purchasing will be one of the following: A copper centesimo IF in at least "Very Fine" condition (it doesn't have to be graded) A copper 3 or 5 centesimi IF in at least "Very Fine" condition (again, it doesn't have to be graded) A silver 25 or 50 centesimi, or a lira A silver 2 or 5 lire Any information or offers would be GREATLY APPRECIATED!! !